Home › Devotional › Bread Anyone? The cares of this life has us running to make sure we have all the things, (relationships, homes, cars, careers, education, health, etc.,), necessary for the “natural man” (bread). 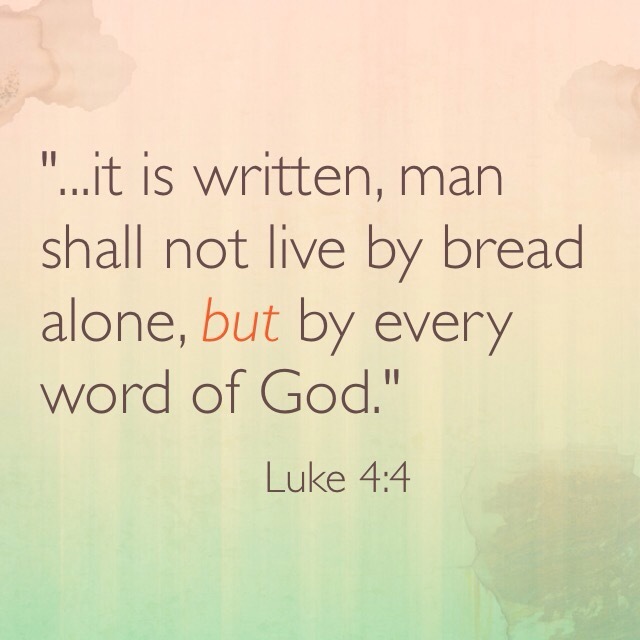 Often we miss out on feeding our spirit man with the Word of God. Consistently building ourselves up on the Word will not only make us stronger spiritually, but it will enable us to even bring to reality the “natural” things with less effort. Yes, and more. When Jesus said, “Seek first the kingdom of God and right living, and the other things will be added to you” Christ was not telling a parable, but a fact. Does it need to be explained that putting anything before God makes it an idol, and so can lead us away from the eternal, living bread, for a crust that will go stale and mouldy?! Unfortunately, the need must be there because of the “leaning” on religion, instead of a real trusting of God. We, you, I and other like-minded persons, must continue to sound the trumpet that will warn people of the dangers of religion over relationship with our Lord.